For the next five weeks, shoppers will get a free pair of pearl stud earrings with every fine jewelry purchase of $200 or more. DENVER, April 9, 2018	(Newswire.com) - From now until May 13, 2018, Miro Jewelers will be hosting their annual Mother’s Day promotion. For the next five weeks, customers who purchase $200 or more worth of fine jewelry at Miro’s Denver or Centennial showrooms will also receive a free pair of pearl stud earrings worth $50. With Mother’s Day coming up soon, this promotion will be a great way for shoppers to get an additional gift for their loved ones free of charge. However, this promotion will only be available until supplies last. So, those interested in adding a pair of gorgeous pearl stud earrings to their Mother’s Day gift this year should take full advantage of this special promotion before it’s too late. With over 50 years of experience serving the greater Denver community, Miro Jewelers has become a trusted resource for families and individuals looking to add luxurious, high-end jewelry pieces from the most prestigious jewelry brands and designers to their collections. The retailer’s high standards, competitive pricing and personalized service ensure that each customer gets exactly what they desire when they shop at either of their two Colorado locations. For more information on this promotion or to learn more about the products available at Miro Jewelers, contact their staff by filling out the contact form on their website. Otherwise, call the Cherry Creek showroom directly at (303) 393-8880 and the Centennial location at (303) 393-8881. For over 50 years, Miro Jewelers has been a retailer of designer brand jewelry items including engagement rings, wedding bands and fashion jewelry, as well as a selection of GIA-certified loose diamonds. 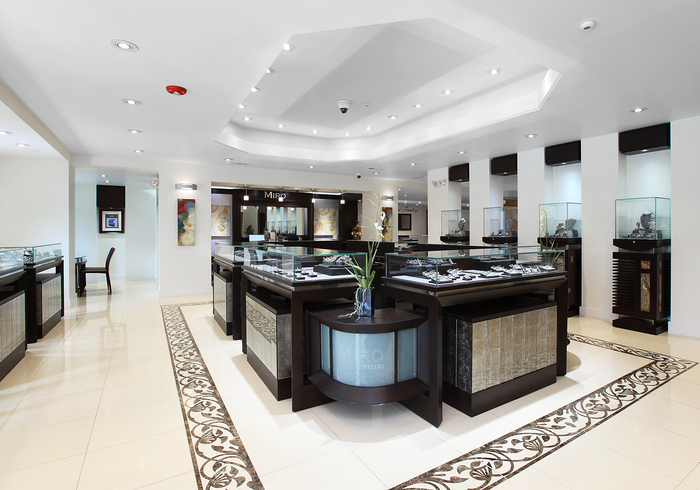 Located in the Cherry Creek shopping district of Denver and Centennial, Colorado, Miro Jewelers is proud to service the Littleton, Westminster, Arvada and Lakewood communities and offers custom jewelry design services, financing plans and comprehensive quality guarantees. For more information on products, services, events and sales at Miro Jewelers, please visit MiroJewelers.com or call (303)-393-8880. Located in the Cherry Creek shopping district of Denver, Colorado, Miro Jewelers is a retailer of luxury-grade engagement rings, wedding bands, loose diamonds, and designer fine jewelry items. Please visit MiroJewelers.com for more information.